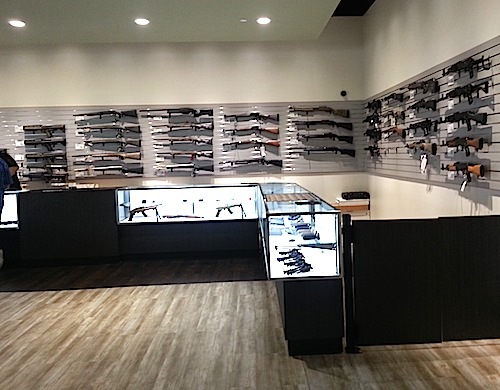 Rifle Gear is rather well known to California residents for their Fountain Valley store. The company also has a good reputation for online sales and support. 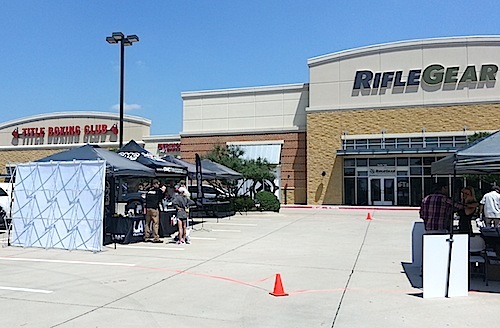 Rifle Gear recently opened a store in the Plano, TX area at 6100 Windhaven, which is near the intersection of Windhaven and Dallas Pkwy. The store’s grand opening was held on May 2, 2015 from 10AM to 5PM. I was at the Carrollton PD or out on patrol from 3:45 PM May 1 to 3:15 AM May 2, so I did not even get out of bed until nearly 11 AM. 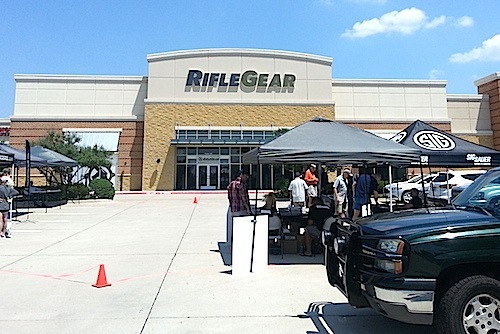 I made it to Rifle Gear just after noon and spent about half an hour on site. The store is well-located and very easy to find. Generous parking was available even with some of the lot occupied by other vendors. Attendance was sparser than I expected despite the anticipation that was built up in online forums. Rifle Gear advertised the following raffle prizes. There was also a Glock 43 giveaway that could be entered by signing up for their email list. It may have also been entered into the raffle, but I was unable to stay long enough to observe raffle results. If you did not attend, then you missed Amber Dale, a model for RECOIL magazine. 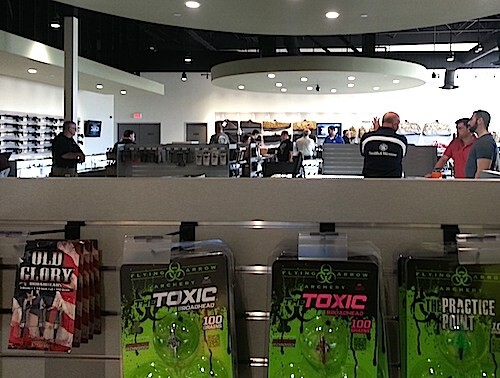 You also missed a very well-designed store with multiple areas for anything from handguns to ammo to archery. The store also featured a nice family area. 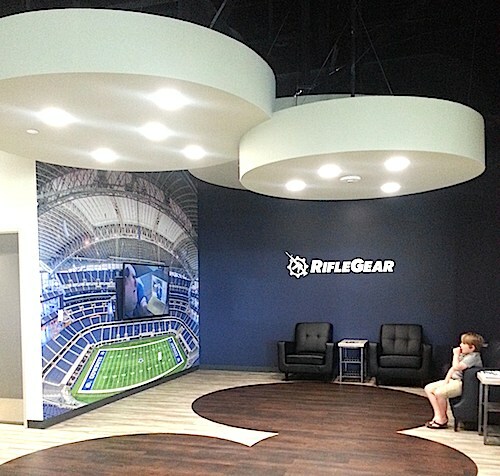 Here are a couple more pics of the store. I spent a few minutes talking with the store staff, all of whom seemed knowledgable and professional. It’s hard to draw permanent conclusions from a half-hour visit, but I received a very strong positive first impression from Rifle Gear.